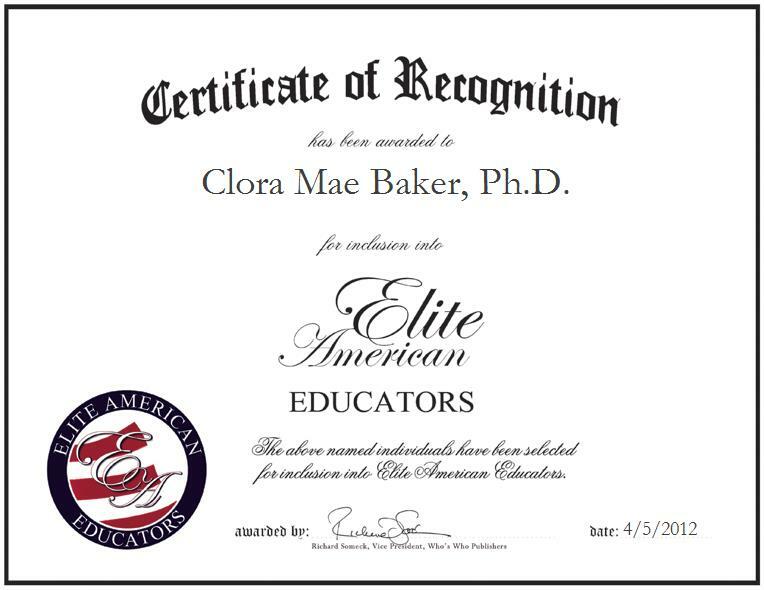 Clora Mae Baker, Ph.D. is an Associate Professor at the Department of Workforce Education and Development of Southern Illinois University. With a sophisticated background in qualitative and international business research and business instruction, Dr. Baker excels in educating students who are aspiring to teach at the secondary, postsecondary and university levels, and training people for work in the corporate sector. Over the course of a successful career that has spanned more than four decades, Dr. Baker has remained passionate about teaching and working with like-minded individuals whose efforts have been geared toward helping students to achieve their academic and vocational goals. She earned a Ph.D. in curriculum and instruction with a concentration in professional development and a minor in business and vocational education from The Ohio State University, and has since embraced new opportunities that have enabled her to help students along their own paths to success. She remains abreast of trends and developments as a member of a number of academic organizations, including SHRM, Phi Delta Kappa International, the Illinois Business Education Association, the Indiana Business Education and the National Business Education Association. She is extremely proud of her leadership capacity with Delta Epsilon Pi; she served as vice president for two years and then as president for two years. In addition to her professional undertakings, Dr. Baker supports a number of worthy causes, which include the American Cancer Society. As a cancer survivor, she is committed to spreading awareness to others and helping them cope with the illness. A wealth of knowledge and experience gained in the field of higher education has allowed Dr. Baker to assist countless students in attaining jobs that they have found to be rewarding; she feels that her helpful nature and passion for teaching have separated her from others in her field over the years. Dr. Baker enjoys gardening, reading and gourmet cooking in her spare time. She is currently working on writing a cookbook.